This year, Día de Muertos/ Day of the Dead in Anchorage, Alaska was very special. Over the years the event ebbs and flows, sometimes it’s attended by 500 people, other times only 300, but it always reflects the community and opens a space in which it can feel at home with both, the living like the dead. Día de Muertos opened with a procession and Aztec ritual from Librería Donceles and reached Out North, where the event was held, with joy and music. There were a total of 14 altars by school groups, artists, families and individuals in the community. The event featured a new dance group of young children, giving them a sense of identity and a love for their culture, so that they learn to feel proud of their culture. Performing dance groups included Uatzi, Xochiquetzal Tiqun, and Sin Fronteras. Mariachi Agave Azul closed the performance in style. 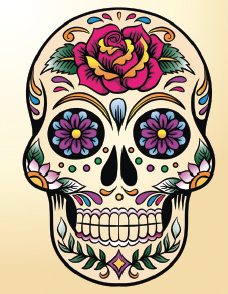 Día de Muertos honors our ancestors, ties us to our lands, and it continues to grow in Anchorage. This event serves to celebrate our culture through music, dance, altars, and food. Presently, the country is going through a very dark period in which our identity is misconstrued as a threat even though it isn’t so. This is why keeping Día de muertos at the forefront of our culture, sharing, educating and uniting the community is more important now than ever. 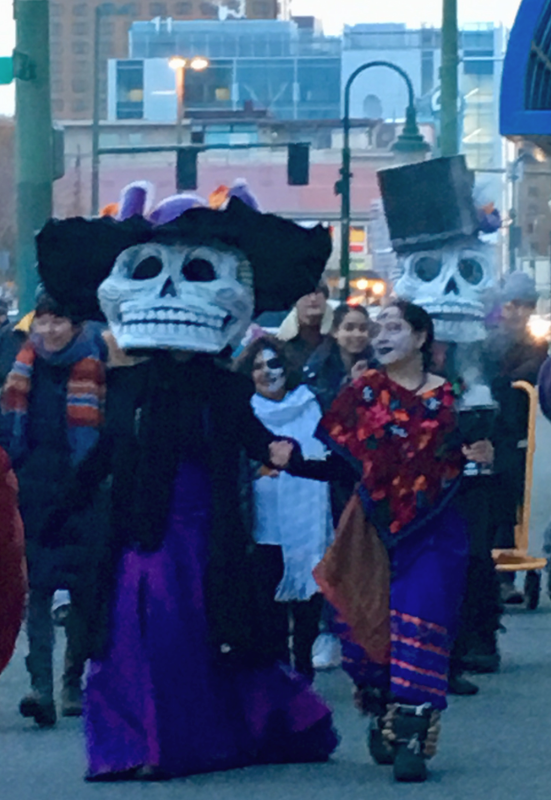 This Día de Muertos in Anchorage demonstrated to the community at large that we are as much Alaskan as we are Latinx, and we continue to offer our best to our community, the state, and the country. 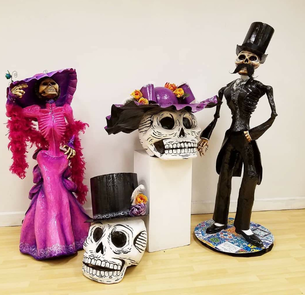 Next year (2019) the celebration of Día de Muertos in Anchorage will turn 15; we must celebrate. Long live the dead! Photos courtesy: Dulce Choreño & Cady Lister.